It’s the last day in the “12 Days of Christmas Cookies” series and I'm ending on a gluten free note. Even if you don’t follow a gluten free diet you will love these cookies that were contributed to Foodista by Seaweed & Sassafras. 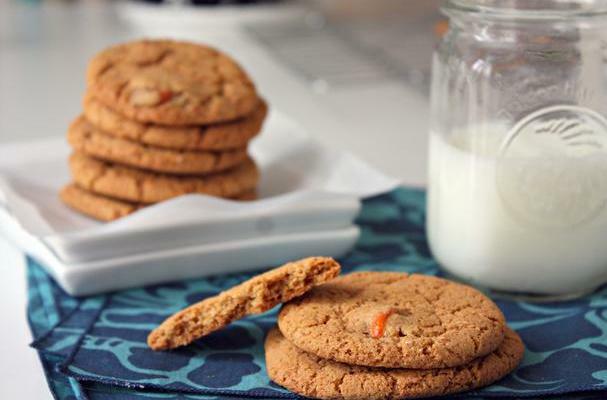 These spicy cookies (you just gotta love a good spicy gingersnap!) are speckled with a favorite seasonal ingredient of mine: kumquats! These tiny sweet, yet so deliciously tart “oranges” (they’re literally about the size of the first digit of your thumb) are simply sublime, especially when baked into sweet treats. For years my grandmother had a little kumquat tree on her patio and we’d turn its fruit into preserves, bake them into cakes, or simply nosh on them whole. Those were the days! I’m heading’ to the kitchen now to turn that nostalgia into some of these tasty cookies. Won’t you join me? Don't miss The 12 Days of Christmas Cookies Countdown!